I was inspired by photos of the Martian surface that show the scars of flooding during that planet's presumed wet period. I also had in mind the channeled scablands of Washington state where, at the end of the Ice Age, a glacial dam gave way and scoured millions of acres as the deluge ran to the Pacific. 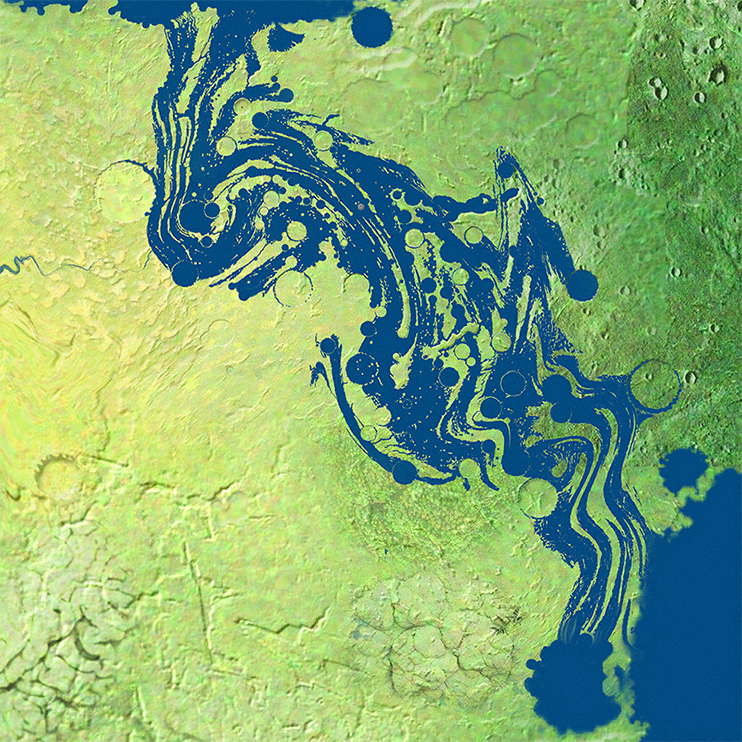 Here the the waters of the Neverdeep spilled from the seas in the southwest and wended its way northward like a chaotic river, sometimes flooding small impact features, and sometimes detouring around them creating pedestal craters, or island craters. In the story, tidal ebbs and flows continue to sculpt the land. Reegyn and Artemis Wilde build a raft they call the Botley Mundle, harness it up to Haiku, and set off to ply the briney shallows. So how not-deep can a sea be? I figure it's like a coastal reef in most places, but in some areas they can get out and wade.